Again, the best laid plans…..my previous ideas have now taken a 90 (may be a full 180) degree turn, all based on a single song I heard a couple of days ago. 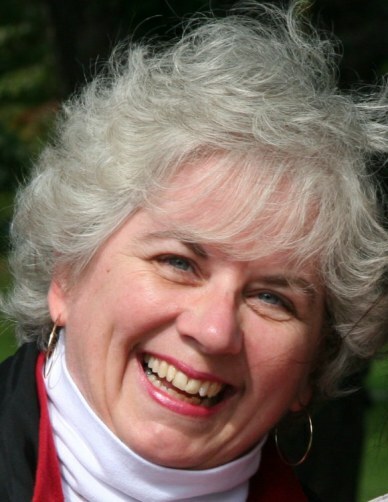 Roxanne Tellier (Veronica to my Betty) posted this song, “Home to Me”, a couple of days ago. It is such a wonderful, heartfelt piece. I fell in love with it instantly. Meaningful and tragically real, these kids have taken their misfortunes and turned them around in such a positive way, creating something so deeply beautiful. I dare you not to move. There had to be more so I dug a little deeper and found out the N’we Jinan Artists have more than one album out there. Here’s two more cuts. Found their website….“Soulful song goddesses, cutting-edge rappers, precocious kids, metal dudes, scribes of prose and poetry, rockers with a cause, unlikely hip-hop heroes and community activists are some of the labels for Eeyou Istchee’s newest superstars; the youth whose voices, songs and souls made it to N’we Jinan, a new Cree album made with the help of David Hodges.” The songs reach me in oh so many ways. You float, you sing, you dance, you glide, you clap….the lyrics touch a chord….poignant, stirring and heartbreaking…. and the music….ahhhh….the music…. it completes it all. There is something in these songs that just won’t let me go as I listen to them over and over again. They simply envelope me and I just can’t stop moving. Here’s a few shots from their website….. 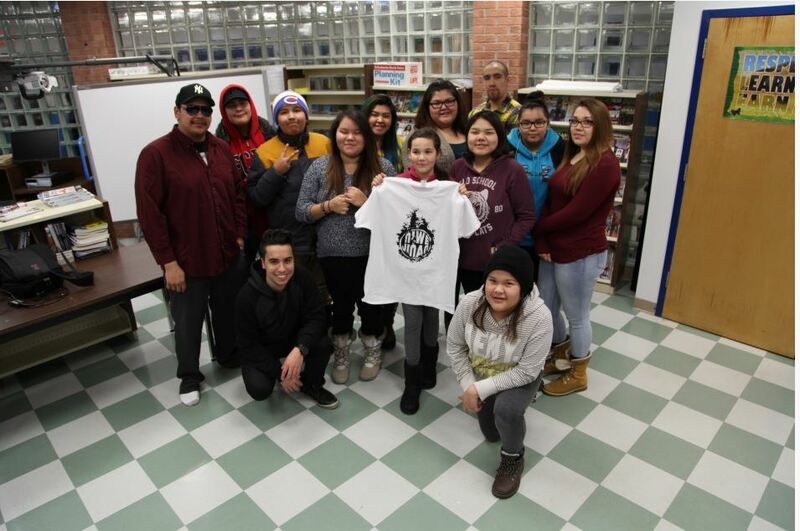 Kudos to David Hodges, a hip hop artist and youth worker from Montreal who began this project in collaboration with the Cree Nation Youth Council in 2014. The original goal was to invite members of each community to record portions of the same song, “N’we Jinan.” It took him to places he’d never been and introduced him to some amazing, well hidden talent along the way. At the end of the project not one, but 19 songs had been recorded. A journey of discovery, of music, of collaboration and a coming together of voices. Check out the stories behind the music. Grab a coffee, sit back and listen to what these kids have to say. 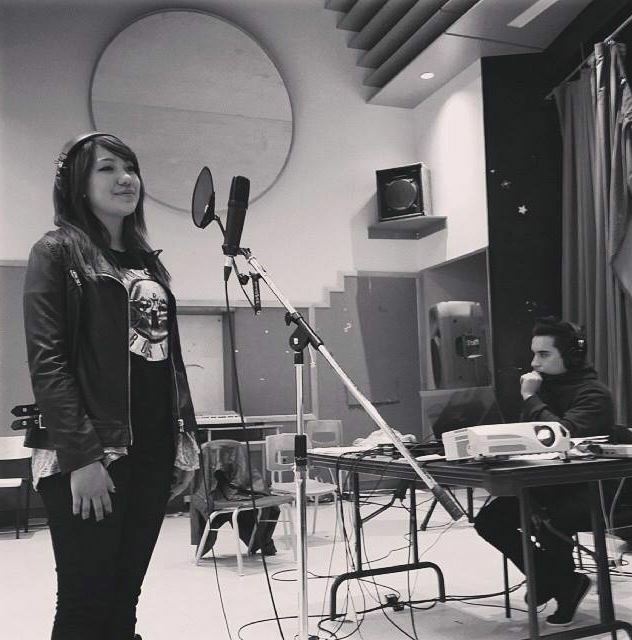 From the thirteen-year-old girl who has the voice of an angel to Jason “DJ Arrow” Swallow who was given the opportunity to produce one of the songs, “Smash Bros”, an “metal-infused hip hop” track. At the end of the journey the song “N’we Jinan” was eventually recorded by Hodges himself, rapping in Cree under the guidance of Juno award-winning artist Matthew Iserhoff, part of the group CerAmony (the other half is Pakesso Mukash) The album can be purchased on iTunes and all the proceeds go towards a fund to bring Hodges back…..“to see just what kind of gems emerge” the next time these youths step into the studio…..and to think it all began with a booking error. How the hell did we miss these kids? I interviewed members of the band Jack the Lads for a future piece. While perusing their FB page, I found this little prize by a band aptly named A Fellow Ship. Yet another tune to love. With a distinctive Celtic feel, the voices are perfect and the song just carries you along. 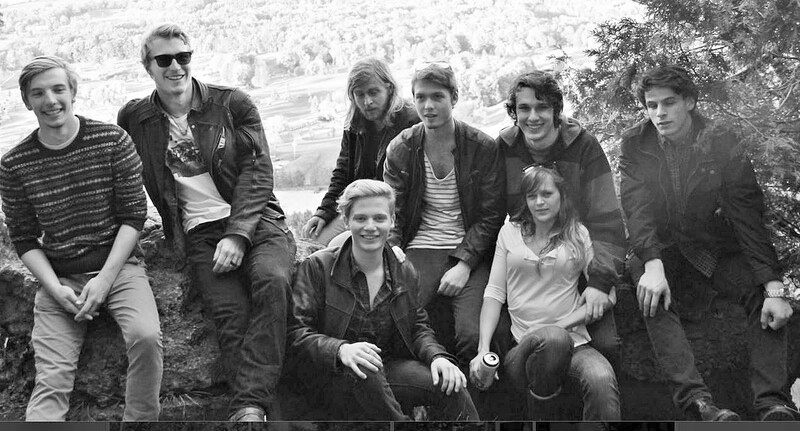 A close-knit group of friends, this Indie folk-rock band’s goal is to keep your toes tapping. Influencers include Mumford and Sons, The Head and The Heart, and Edward Sharpe and The Magnetic Zeroes. A Fellow Ship members include Joe Dent (guitar/banjo/vocals), Jack Stone (guitar/ banjo/mandolin/vocals), Teddy Liptay (piano/accordion), Tristan Schultz ( bass), Emma Harrison (cello), Forest Van Winkle (vocals) and Ryan Johnston (percussion). This next one is by local talent Julian Taylor. An easygoing, fun, “a little bit country” piece, co-written by Robert Priest and recorded on Taylor’s front porch one lovely summer evening. “Catch and Release” was released on an acoustic album in 2015. A talented young man, Taylor’s new album….it’s coming….very soon. So much music…..another group introduced to me by friend Michael Williams, The R&R Soul Orchestra. Feet got a mind of their own with these guys. I need a much bigger dance floor. Producer Julio Herrera has put together a group reminiscent of the 70s and 80s R&B/soul groups that kept us all boogying into the wee hours. 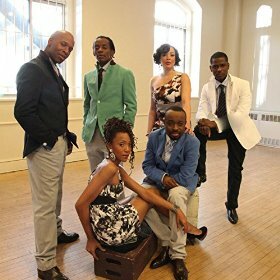 Great hooks, great vocals and harmonies….”Most of the Members of the R&R Soul Orchestra are NYC session players and singers…” Looking for more. Also shared with me, this marvellous dedication to the late, great Curtis Mayfield by LMT Connection off their brand new album Funk is the Final Frontier. 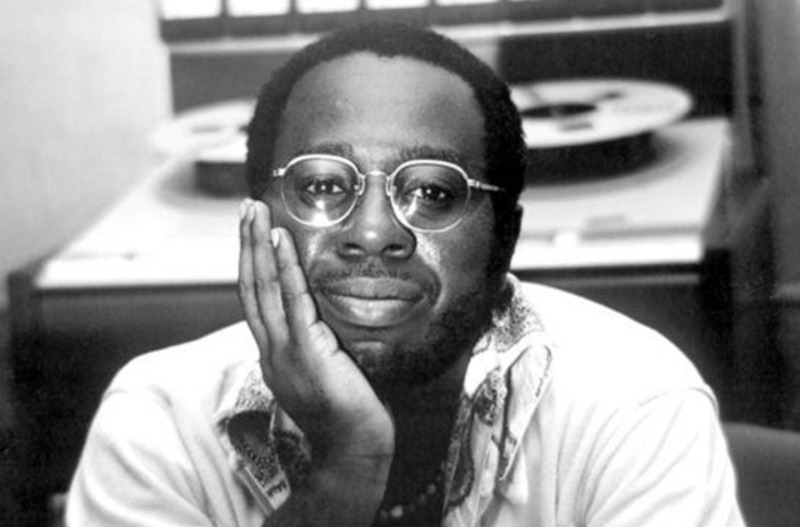 Simply called “Curtis”, Mayfield’s influence on other musicians and performers is undeniable. 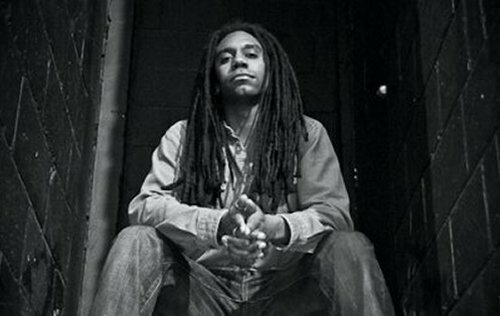 Known for his “racially conscious soul and funk, who had a number one album with his score for the film Superfly”, Mayfield hit his stride with songs such as “People Get Ready”, “Keep on Pushing” and “I’m So Proud”, establishing him “as both a pioneer of soul music and a singular voice of the Civil Rights Movement.” Mayfield passed away in 1999. It’s not only in the bars and clubs you’ll find great music and artists. They are everywhere, surrounding us with their gifts. You don’t even have to search, it’s right in front of you, staring you in the face, every day…. I can’t get enough! …and baby, if the music’s good, I can tear any floor apart. My life is so full of extraordinary people creating extraordinary music. I feel so blessed and fortunate to be surrounded by such treasures. Thank you! 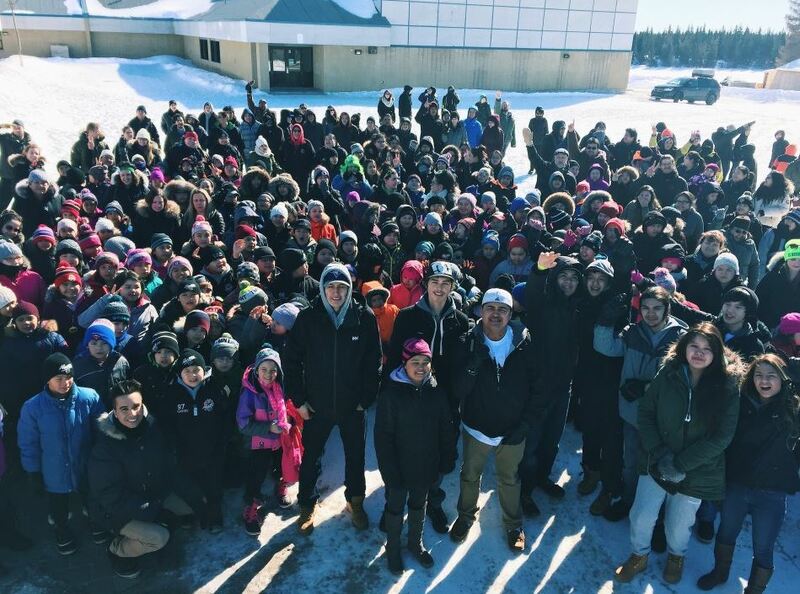 This entry was posted on April 6, 2016 at 3:43 pm and is filed under Opinion, Review with tags A Fellow Ship, Bob Segarini, Cree Nation, Cree Nation Youth Council, Curtis Mayfield, David Hodges, DBAWIS, Don't Believe a Word I Say, Jack the Lads, Julian Taylor, LMT Connection, Michael Williams, N'we Jinan, Pat Blythe, R&R Soul Orchestra, Robert Priest, Roxanne Tellier. You can follow any responses to this entry through the RSS 2.0 feed. You can leave a response, or trackback from your own site.